Abuse of pharmaceutical products is costing the industry and governments vast amounts of money and causing serious sociological issues. Our abuse deterrence platform offers a carrier that protects against abuse methods including: dissolution in most common household solvents, heating and mechanical tampering. iCRT-deter is an advanced controlled release carrier that offers powerful abuse deterrent features for potent or addictive compounds, including but not limited to opioids. 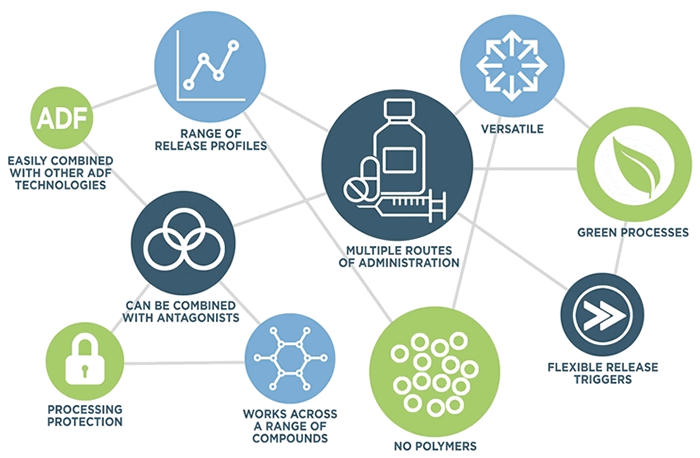 Being a highly flexible platform, iCRT-deter's abuse deterrence properties can be applied to multiple routes of administration, including oral, sublingual and parenteral product forms. iCRT-deter has been tested and proven across a range of compounds of varying solubility levels, and produced tablets are not bulky nor hard to swallow, benefiting the genuine patient. 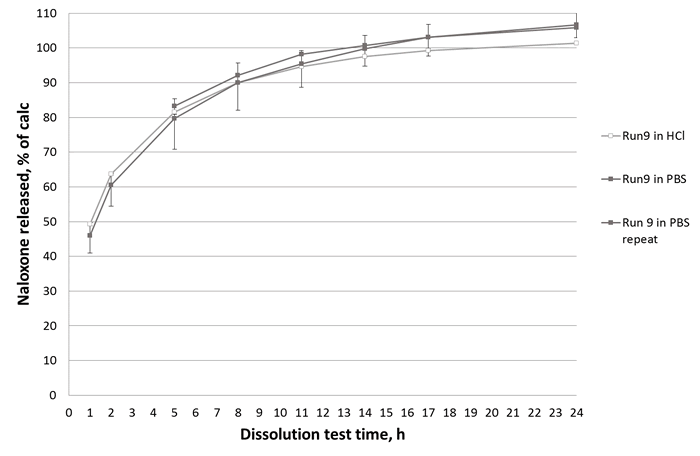 And we have demonstrated in-vitro bio-equivalence of our tablet formulation. The technology deters various routes of abuse, including solvent extraction and injection, via resistance to crushing, chewing, heating, and extraction in alcohol and common household solvents. 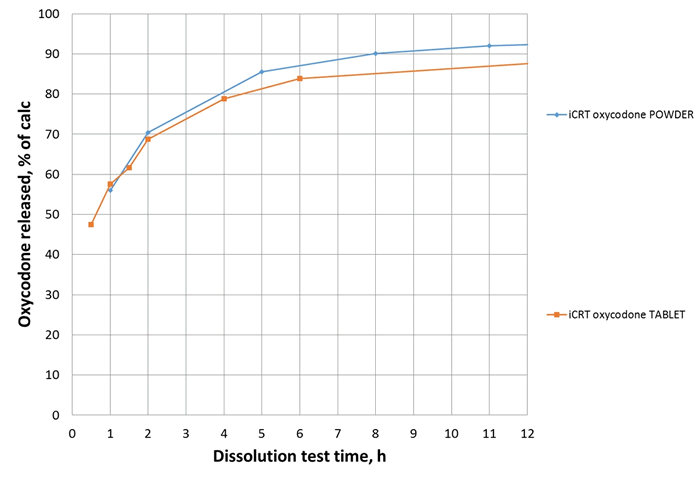 iCRT-deter also offers a potential solution to alcohol induced dose-dumping. Easily formulated into and compatible with existing products to give immediate or extended release, iCRT-deter is a green process that also offers processing protection. The technology is highly flexible and can be modified depending on your product and application requirements. It can be used in conjunction with other technologies such as antagonists, and is suitable for both oral and sub-lingual drug products. As it is a powder technology with good flow properties, it is easily formulated into existing products. Get in touch to find out more about how iCRT-deter can help you market safer, more effective products.